Get comfortable: Life happens here. A place to relax, to entertain, to gather friends and family; the aptly named living room is where life takes place. 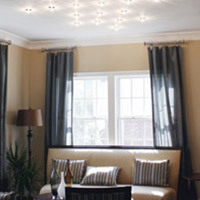 A wide range of living room lighting options are appropriate for all the varied events that happen here, as is a large selection of home furnishings and comfort-exuding furniture. From seating to storage to quirky accents that let your personality shine through, the living room is where people get to know each other. As a place of the home where you will most likely gather with friends and family, you'll want the living room to be well-lit. 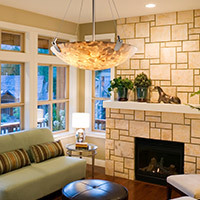 The right choice of lighting for living rooms provides exceptional illumination and speaks intently to your preferred aesthetics and design taste. 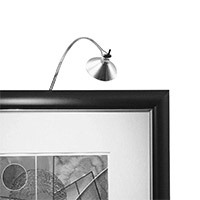 Floor lamps, including modern arc lamps, swing arm designs and those created specifically for reading, find their home in the living room and are happily welcomed for their versatility and portable nature. 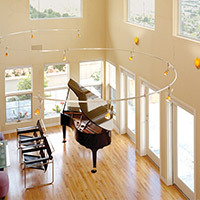 Anytime you choose to redecorate your living area, your floor lamps have no problem adapting to a new layout. 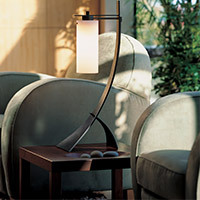 Likewise, table lamps also offer appreciated portability and are the perfect companion to end tables or side tables. 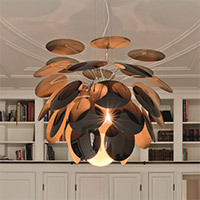 Overhead, the space benefits from a decorative ceiling light like a pendant or chandelier. 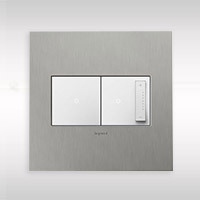 Or, if you prefer lighting that is aimed for more functional use, look to the assortment of recessed lighting, flushmounts and track lighting. 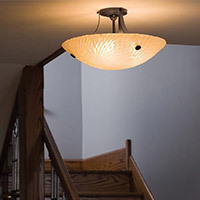 Whether you are entertaining or kicking back to enjoy a movie, any of these choices of lighting are guaranteed to make the difference in the room. 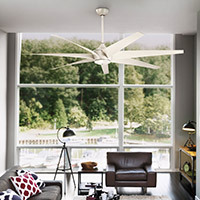 And if you prefer to set the mood in the living room, you'll enjoy placing any of these light fixtures on a dimmer switch. 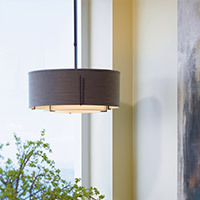 With lighting choices nailed down, it's time to introduce refreshed furniture pieces into the room. 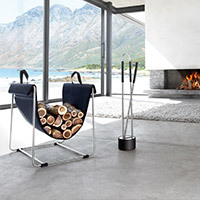 While a sofa and lounge chair are common furniture implements in the living room, here you'll find an even wider array of options to choose from. 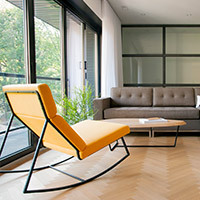 Mid-century modern themed sofas and sectionals from Gus Modern are a go-to choice in any living room inspired by retro design. 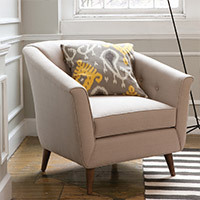 Or, kick back in any of the contemporary lounge chairs offered by Blu Dot. 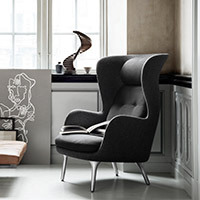 Not only are Blu Dot's chair designs stylish, they are also unmatched in comfort. 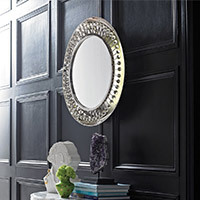 And there are plenty of accent tables to appropriate complement your choice of seating furniture. 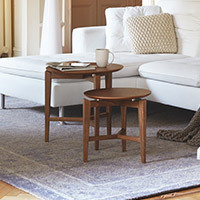 From chic side and end tables to coffee tables that almost become the focal point of the room, you'll find a large variety of well-designed options. 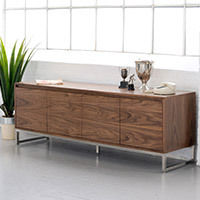 Finally, look to the storage and organization furniture options available to keep your space clutter free. 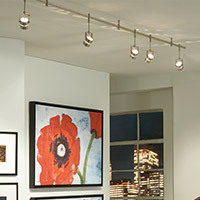 Whether highlighting a special piece of artwork or producing an ambient lightscape on an accent wall, picture lights can up the drama or create an intimate atmosphere. And to create an even more comfortable living area, consider covering your bare floors with a modern rug. Rugs are made available in a variety of shapes, sizes, colors and patterns to give you multiple ways to introduce a personality to your floors. With the right combination of lighting, furniture, furnishings and accessories, your living room will be the go-to destination in the house.